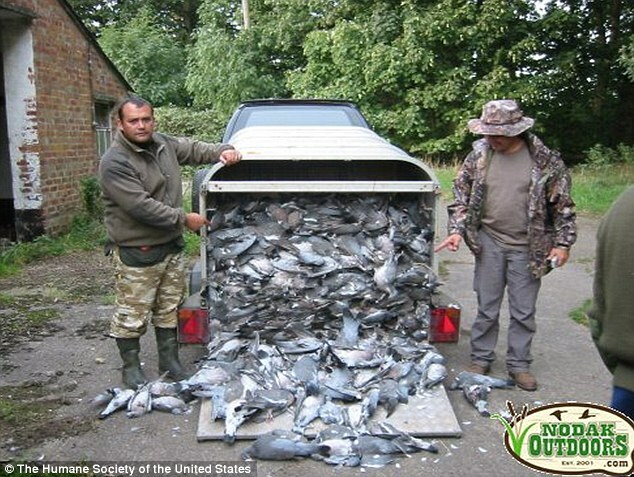 More than two decades of activism over Pennsylvania's barbaric tradition of pigeon shoots did not end with a victory dance last Monday. It ended with House Bill 1750, which last week won 36-12 approval in the state Senate, safely buried in the House Rules Committee, where it will expire without a vote. Until at least the Legislature's next session, it will be legal to raise dogs and cats for human consumption, to "hunt" tethered animals and to blast pigeons fired into the air for the shooting enjoyment of fat-bottomed Elmer Fudds. The House's timidity represents a victory for the National Rifle Association, which for years has been advancing the preposterous notion that banning the practice of shooting captive animals in rings or tied to hay bales is the first step on a slippery slope toward banning all hunting. Ah yes, that slippery slope notion is totally preposterous. It's not like you keep telling us that All hunting is sick and should be done away with. I never said it should be done away with. I sure hope the meat processing facilities for cattle don't kill the animals while they are being restrained. That would be inhumane and disgusting.